Hpathy » Homeopathy Papers » Vaccinations: Just Say No! No, you do not need to get your child vaccinated, no you are not putting your child at risk; in fact, you may be saving his or her life! Where do you go with a mixed message like, “Vaccinations may be risky, but so is not vaccinating!” This was my mind-set when Shana was born. Shana, where are you? So, there I was, remembering all this, but still “believing in” vaccination and being pulled in two equal and opposite directions! I gave in and allowed Shana to get the Hepatitis-B vaccine the day after she was born. Then I read Dr. Robert Mendelsohn’s book, How to Raise a Healthy Child in Spite of Your Doctor which I wish I had read sooner and strongly recommend to everyone! Suddenly it all became clear– “Do Not, get your child vaccinated!” said Dr. Mendelsohn. He’s a pediatrician, by the way. I might add that I later found out that there is virtually NO WAY your baby can get Hepatitis B! Holy cow! If only I had know that at the time, this would have been an easy decision! Fortunately, Shana is fine, for the most part; BUT, she does have a math disability! She joins the 1 in 6 children in the United States with a learning disorder. I guess I’m lucky that this was the only price I had to pay; but, we parents shouldn’t have to pay a price for complying with doctor’s orders! I will always blame this utterly pointless and baseless vaccine for that. Luckily, I got out when I did. The CDC (US Centers for Disease Control) was a little more cautious in its remarks, saying that from 1979 on, the polio vaccine had been the major cause, if not the sole cause, of all cases of Polio in the United States.2 I can’t imagine what more you could possibly need to know to make an informed decision! Some of you might think it’s impossible for a disease to go away on its own, and the proof of vaccine efficacy is the absence of the disease! But tell me this, how did we ever get rid of Scarlet Fever and Yellow Fever without a mass vaccination program, where did they go? What about the Bubonic Plague, how did that go away without a vaccine? On the other hand, the corollary to that is, with all the relentless decades of vaccinating against measles and whooping cough, why are they still here? Why didn’t they go the way of polio? 1. There’s no way your baby can get Hepatitis B as it is a disease of drug addicts and prostitutes. 2. 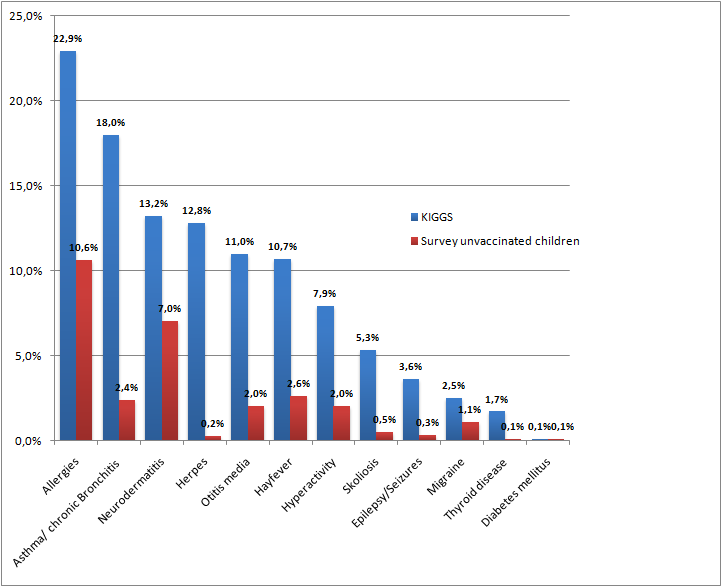 As I said regarding polio, according to the CDC itself, the only way you can get polio now is from the vaccine! 3. Measles, Mumps and German Measles are relatively mild diseases as is chicken pox and not worth risking brain damage over. I had most of the childhood diseases myself and they’re no worse than any of the other viruses your kids pick up at preschool and bring home with them; in fact, a lot less awful if you ask me because I caught every virus Shana brought home from K and pre-K and some of them were truly awful! 4. The flu is awful but people get it all the time and they get over it. 5. No one gets diphtheria anymore. Basically, you can’t weigh the “benefits” of vaccines without asking yourself, “How serious are these diseases anyway?” and “What’s the likelihood that my child is going to get them?” You will find that most of these diseases are not that serious and a number of them are extremely rare if not out of the population entirely. But in the censored interview with Dr. Maurice Hilleman [above], Hilleman admits Merck’s responsibility in unleashing this virus via their polio vaccine, as well as the likelihood that there was an importing and spreading the AIDS virus in the same manner. So you might ask, “What are we to do? How can we protect our children from dread disease?” Have you noticed that most of these diseases aren’t even in the population anymore? For the ones that are, why not see a homeopath? After all, this is what we do! We are the original “like cures like” people, the people whose motto is: “What something can cause, it can cure in small doses.” Isn’t that exactly the premise of vaccination? But we manage this entirely differently–safely–without injections and toxic substances! Injecting viruses and toxic substances like mercury and aluminum directly into the bloodstream is clumsy, reckless, bizarre and without foundation! These diseases aren’t even contracted in the bloodstream! They’re contracted through the mucus membranes of the nose, eyes and mouth; but, all the antibodies that inhabit those areas are bypassed as the needle goes directly into the bloodstream! Consequently, you really have to wonder, are you protected by vaccinations? And if so, to what degree? It’s only tetanus that’s contracted in the bloodstream, where you might reasonably make a case for vaccination having some validity in that sense. Did you know that Abraham Lincoln–and most of his cabinet, including General McClellen and Secretary of State Seward–all used homeopathic remedies? Do you know how Seward’s would-be assassin gained entrance to his home the night Lincoln was shot? The assassin was pretending to be delivering remedies from the homeopathic pharmacy! You would be shocked to hear the names of people from history who used homeopathy, including Charles Darwin, John D. Rockefeller, Charles Dickens, Beethoven and, oh yes, Tina Turner! and make a go of it. More often than not, your child will come down with a virus if he gets sick and antibiotics are useless against viruses, did you know that? So, what can your pediatrician really do for your child anyway? Homeopathy can actually cure these cases! Let me give you an example of what treating homeopathically is like. Shana, when she was around 2 or 3 years old, was sick with something, we thought it was just a bad cold, but all of a sudden she broke out in a rash! I said, “Oh my God! It could be the measles!” I gave her Rhus tox 30C. She got well so fast, I didn’t even have time to make a doctor’s appointment to find out what the diagnosis was! The next day the rash was gone! Now, isn’t this the kind of safe and rapid treatment you want for a sick child? And in closing, always remember, to Just Say NO! Newsflash–This just in! August 27, 2014: CDC senior scientist, Dr. William Thompson, admits to burying data showing that the MMR vaccine caused a 340% increase in autism in African-American males under the age of 3. Get or stream the DVD from www.VaxxedtheMovie.com. 3. Burnet M. and White D., The Natural History of Infectious Disease (Cambridge, MA: Harvard University Press, 1972) p. 91. 6. Cost, Curtis; Vaccines Are Dangerous (Brooklyn, NY: A&B Books, 1991) p. 24.